Want to vampire yourself this Halloween? 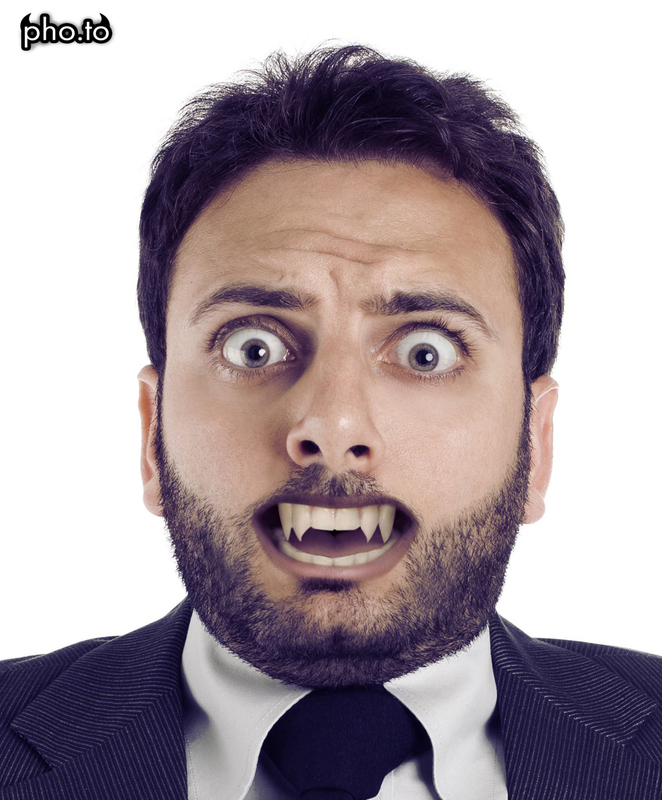 Add realistic vampire fangs to your photo with this vampire photo effect. Create a creepy Halloween avatar or make your Halloween photos even more scary! Want to make a creepy avatar for Halloween? 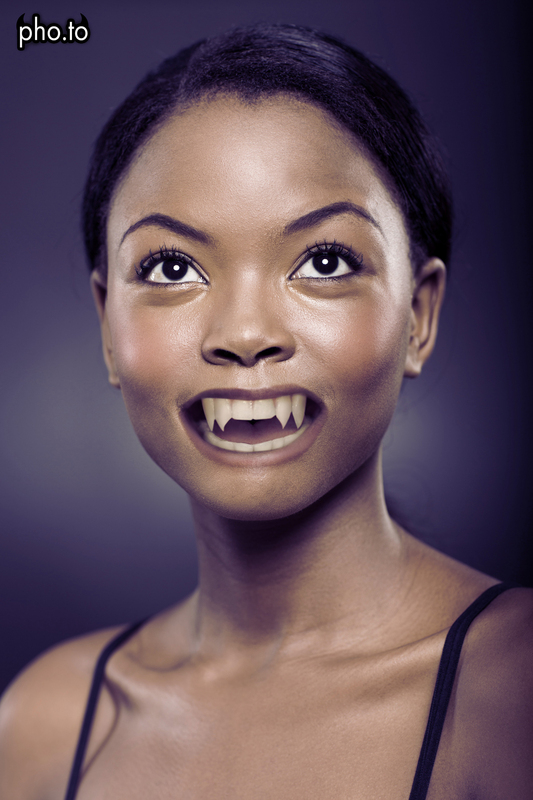 Use this vampire photo editor to add virtual vamp teeth to your photo in seconds! If the ‘Twilight saga’ or ‘Vampire Diaries’ are your favourite movies, you might have wanted to vampire yourself at least once! 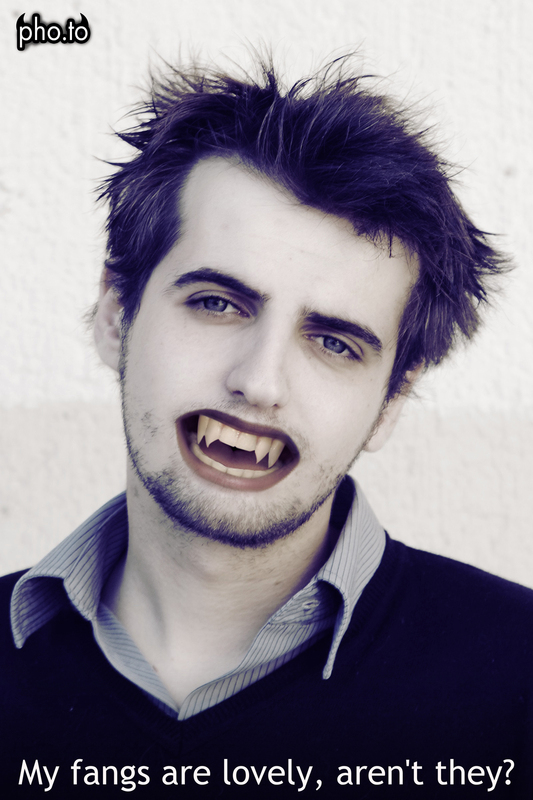 This online vampire photo effect is free and easy to use. 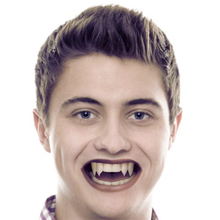 Just upload your portrait photo, and this ‘vampire me’ effect will turn you into a vampire with fake vampire fangs! Create realistic vampire fangs thanks to this vampire photo morphing online on Funny.Pho.to or try other Halloween makeup effects like Zombie, Predator and others.